US Treasury said that it set a deadline of November 12 for divesting or transferring debt, equity or other holdings of Rusal and En+. 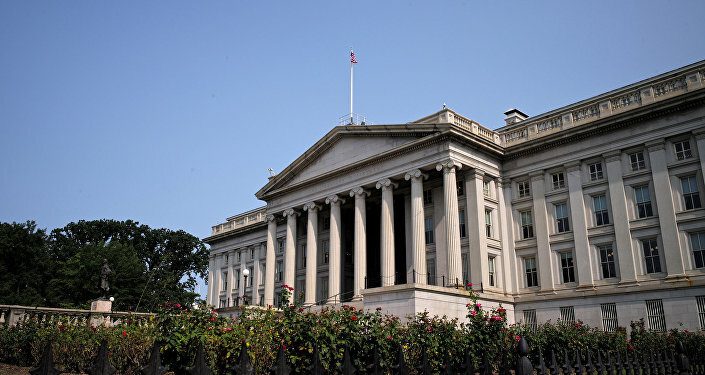 The United States has extended the expiration dates for companies to wind down business with Rusal and the En+ Group to review potential changes in ownership structure, the US Treasury Department’s Office of Foreign Assets Control (OFAC) said in a press release. "EN+ and RUSAL have approached the US Government about substantial corporate governance changes that could potentially result in significant changes in control," the release said on Friday. "To allow sufficient time for review, we are extending these licenses until November 12." In August, a Treasury official said the United States would consider lifting sanctions on Rusal and En+ if Oleg Deripaska was completely removed from any ownership or control of the companies. The US Treasury Department also said that the deadline of October 23 was in force for divesting holdings of Gaz Group.